The New York Times public editor responded to complaints on Thursday that the paper “stealth edited” a pro-Bernie-Sanders article after publication to give it a more cynical tone. (March 17, 2016). At first, the article was titled "Bernie Sanders Scored Victories for Years via Legislative Side Doors" but it was later re-titled to: "Via Legislative Side Doors, Bernie Sanders Won Modest Victories." Other changes to the text demonstrate the editor's hand in reducing the reader's positive impression of Bernie Sanders. Editors also added in a couple of paragraphs, including: “Mr. Sanders is suddenly promising not just a few stars here and there, but the moon and a good part of the sun, from free college tuition paid for with giant tax hikes to a huge increase in government health care, which has made even liberal Democrats skeptical.” Several positive quotes were also removed. 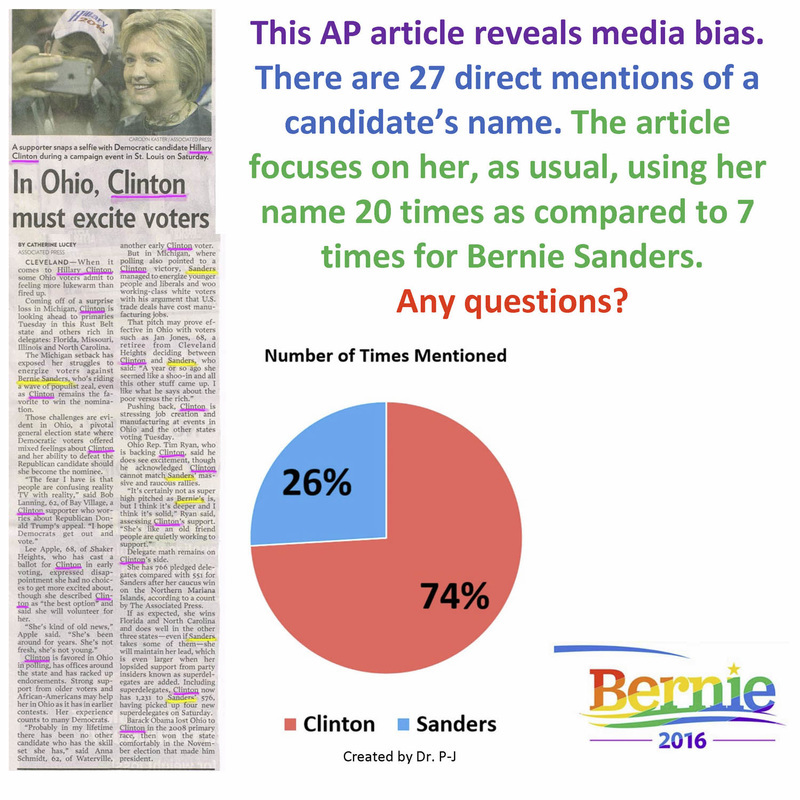 One piece of evidence supporting the claim that the media is biased against Bernie Sanders.